Chiyo Sakura has fallen head over heels for the handsome and oblivious Umetarou Nozaki. However, when she confesses her love, he gives her an autograph. It turns out this stoic boy is actually a respected shoujo manga artist. After a series of misunderstandings, Chiyo winds up not as his girlfriend, but as his manga assistant. A romantic comedy can be all jokes and hollow romantic feeling, but then you have shows like Monthly Girls’ Nozaki-kun that has meaningful character developments and is a true joy to watch. If you are looking for something similar, then be drawn in down below. As a child, Moritaka Mashiro wanted to be a manga artist like his uncle. However, after certain events transpired, he refocused his efforts towards studying in middle school. 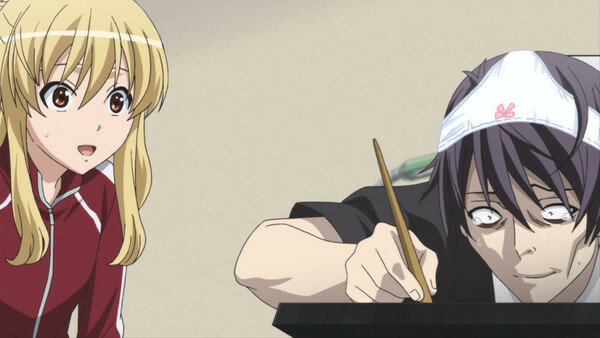 One day, aspiring writer Akito Takagi notices some detailed drawings in Moritaka’s notebook and approaches him to propose they become a mangaka together. Realizing that he might be able to get his crush if they make an anime adaption of it with her as the voice actor, Moritaka agrees, and thus, the mangaka Muto Ashirogi is born. There are a few series about making manga, but only Monthly Girls’ Nozaki-Kun and Bakuman actually have a decent plot behind them. 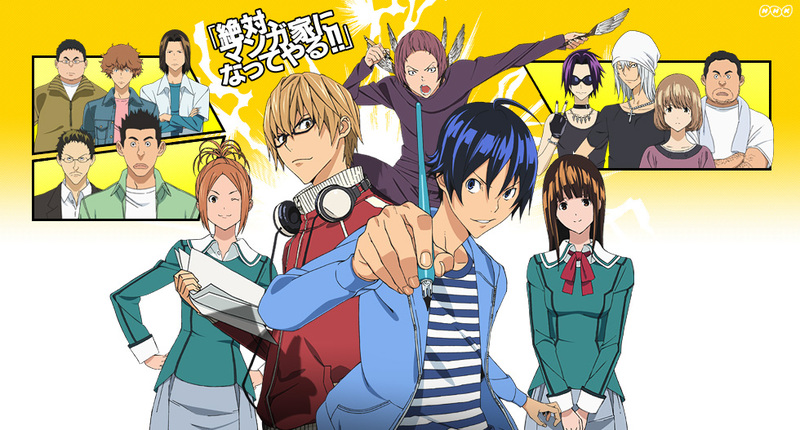 Furthermore, while not the primary focus, there is some romance in Bakuman as well. 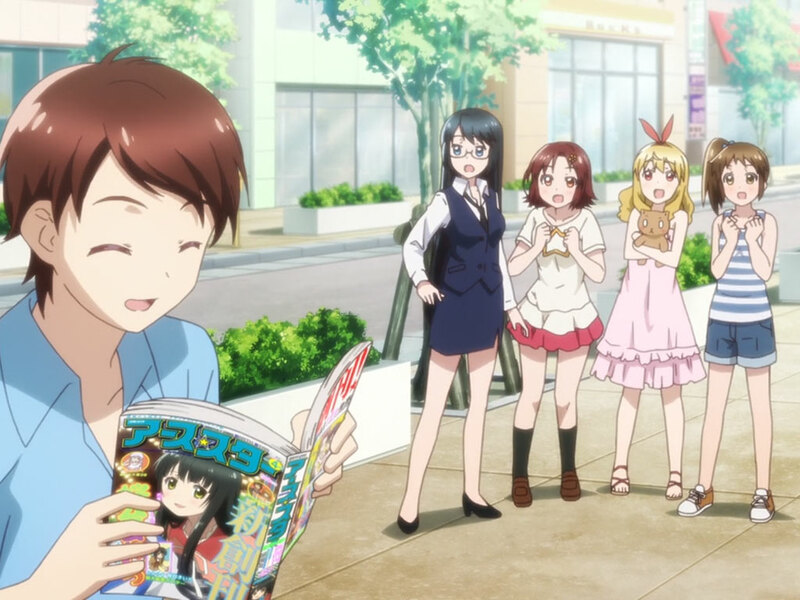 With only a dream, a group of girls with zero experience decide to start a manga magazine. Though they work hard, these girls run into nothing but problems. This is a good series if you are looking for manga creation-based comedy. There’s no romance, but it does detail the creation of manga with some great comedy. This story depicts the work life of a perverted manga artist, Aito Yuuki, and his assistant, Ashisu Sahoto. Under constant pressure by his editor and lacking girl experience, he frequently used his assistant as a reference. Obviously, both shows are about manga artists and their female assistants. However, unlike Nozaki-kun, this show is not really a romance, but it is a great comedy. 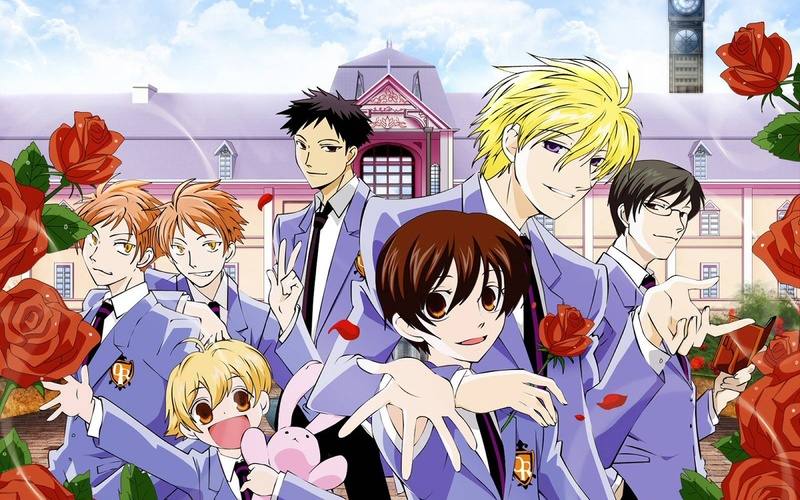 In Ouran High School Host Club, the female plays the dense character to the budding affections of those around her. However, unlike in Nozaki-kun, she is not quite as oblivious as she seems. Regardless, both series are top tier in terms of the combination of comedy, romance, and character development. Sophomore high school student Tenma Tsukamoto is on a quest to confess her feelings to the boy she likes. Kenji Harima, a delinquent, is on the same quest. This is the story of the complicated world of one-sided romance. 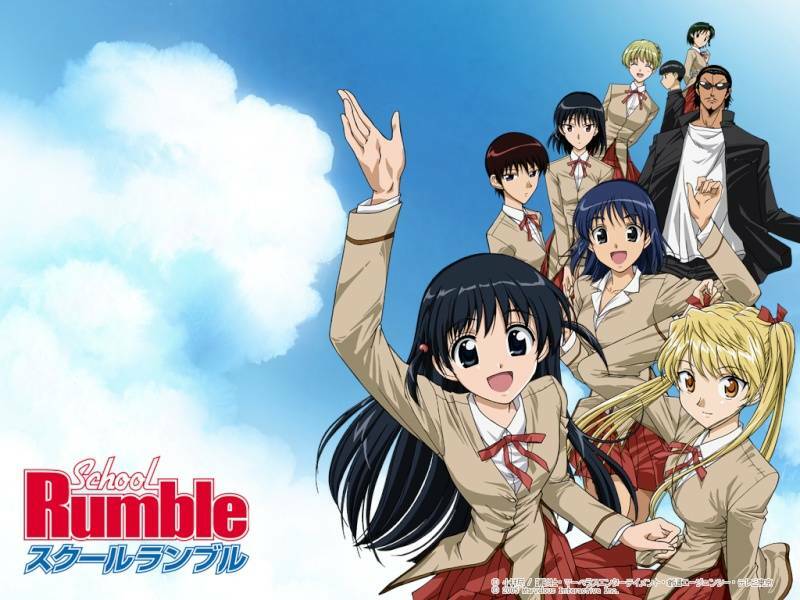 School Rumble is essentially just all one-sided romances due to various levels of being dense. There within is where it gets its comedy. However, Nozaki-kun features a more straightforward plot line while School Rumble tends to be more random comedy. Kazunari Usa is starting high school and finally talked his parents into letting him live alone. Excited for his new life, he moves into the Kawai Complex boarding house, only to find his new roommate a complete BSDM weirdo. 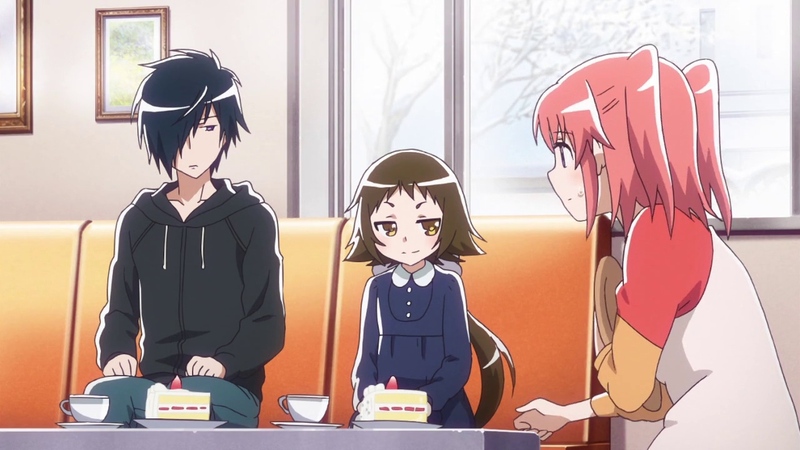 Being put off by the eccentricity of it all, he is on his way to leave when he runs into his senior in high school, Ritsu Kawai, who also lives there. The sheer presence of this cool beauty talks him into giving life in this new house a try. 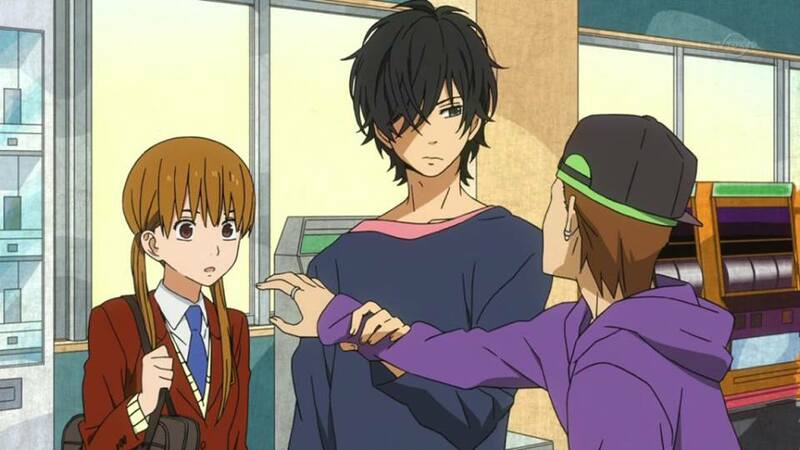 Gender-swapped in Kawai Complex, it features a boy trying to get the girl he likes to notice his feelings. However, like Nozaki who is hyper focused on his manga, Ritsu is hyper focused on her book reading. Unable to resist taking in abandoned kittens, and amassing quite a collection of them, Sorata Kanda is forced to move to Suimei high School’s infamous Sakura Hall. This dorm is used to house all the misfit students that don’t quite fit in the regular housing. 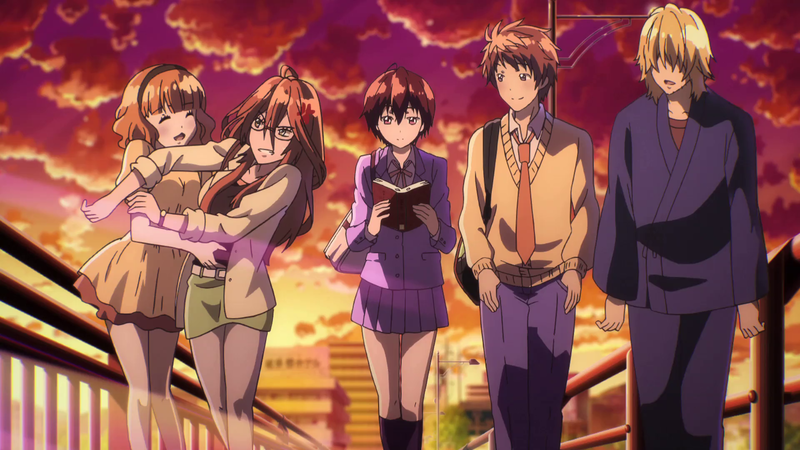 There Sorata meets an array of different oddballs that inspire him to work towards getting back into the regular dorms. 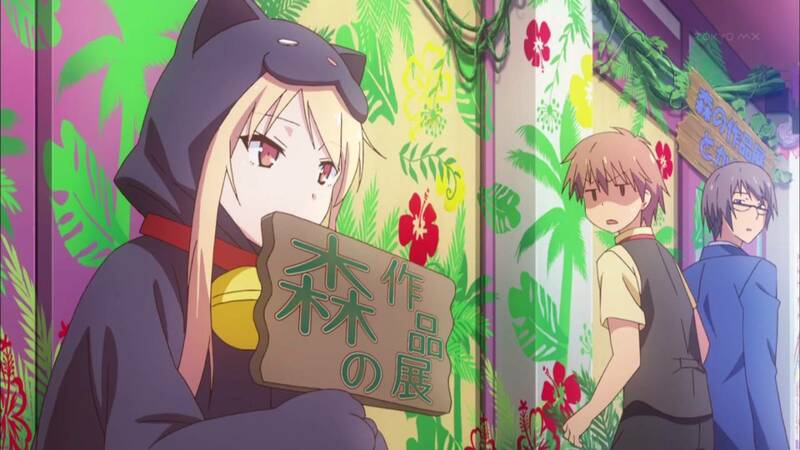 However, when a new transfer student moves in, he meets the incredible artist Shiina Mashiro. While talented, she is completely incapable of taking care of herself, and so, Sorata brings her into his care and his strange days truly begin. In both series, you have a character that is almost near emotionless. They use this for comedy, but the primary conflict in the show is that they don’t realize their feelings or really note the feelings of others. While both are great comedies, they can be frustrating romances. Shizuku Mizutani cares little of others and only about scoring top marks. However, when she is tasked with taking something to her desk neighbor Haru Yoshida, her world begins to change. Haru, too, knows little of human nature and hasn’t been to school for awhile due to fighting. Yet, it is the lack of friends that they both have that soon forms a friendship between them. Conversely to Nozaki-kun, the female in My Little Monster is the cold and emotionless one while the male is somewhat aggressively pursuing her affections, for a time. However, this sadly unfinished series is more about examining feelings unlike Nozaki where the character wants to get her love interest to notice her feelings. On Kobeni Yonomori’s 16th birthday, it is discovered that her grandfather arranged for her to marry the mysterious Hakuya Mitsumine. Shocked, she now finds herself living with her future husband, his deceptive little sister, and her own perverted older sister. However, Kobeni takes it in stride, adjusting to her new life and trying to learn more about the new additions. Nozaki-kun can be a little frustrating with the overall denseness of the male main, but Engaged to the Unidentified, while featuring similar tropes, is a little more satisfying. It is not that the male main is dense, but rather better at hiding any and all emotion. Do you have more anime recommendations like Monthly Girls’ Nozaki-kun, then let fans know in the comments section below.